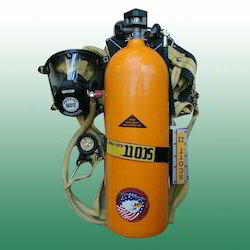 Bright Medi-Weld appliances introduces SCBA(self contained breathing apparatus) equipped with full vision face mask, non-aging, chemical resistant with a double reflex sealing flaps, five point harness panoramic replaceable visor with self demisting facility, inhalation and exhalation valve having coupling with high pressure withstanding rubber tube reinforced with nylon threads connected to a compressed air cylinder fitted with pressure gauge and regulator valve. 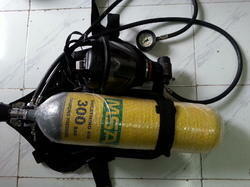 Applications: used in places where oxygen content is less than 16%, toxic environment, gas fogs etc. 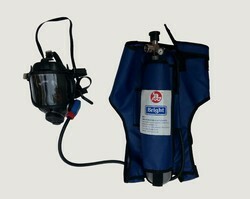 Bright Medi-Weld appliances introducesSCBA(self contained breathing apparatus) equipped with full vision face mask, non-aging, chemical resistant with a double reflex sealing flaps, five point harness panoramic replaceable visor with self demisting facility, inhalation and exhalation valve having coupling with high pressure withstanding rubber tube reinforced with nylon threads connected to a compressed air cylinder fitted with pressure gauge and regulator valve. 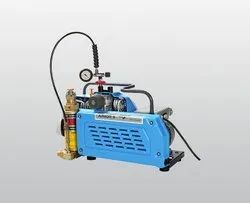 Applications used in places where oxygen content is less than 16%, toxic environment, gas fogs etc.